If your clients spend time on Facebook, but the messages from your small business stay invisible for them, then keep on reading. In Dec 2018 there were 1.52 billion people actively using Facebook on daily basis. An increase of 9% since the year before. But the number of ads, messages and posts is also rising. It becomes harder to reach your customers through all the noise. But you can beat out your competitors by using the secret strategies inside the book. As a business owner your most important job is to run your business. You really don´t have a lot of time to spend on Facebook. 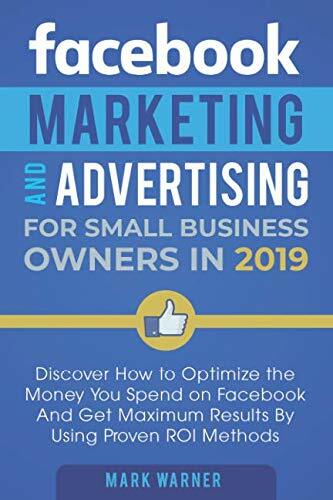 Facebook Marketing and Advertising for Small Business Owners in 2019 is specially written to reduce the time spent by you on Facebook while increasing your visibility, reach and profit. It´s time to push your business and revenue to the next level by leveraging Facebook. Scroll up and click Add to cart´ to get back your time and increase your profits.